Malaria is a life-threatening illness marked by high recurrent fever, shaking chills, and severe headache. Though malaria is now treatable, even with treatment it sometimes progresses to coma and death. Survivors frequently suffer recurrent symptoms and can be debilitated. The World Health Organization estimated that in 2010 there were 216 million people infected with malaria. Hundreds of thousands of them died, though precise estimates are lacking. Malaria has plagued people for tens of thousands of years. It may have contributed to the decline of the Roman Empire. Very little was known about malaria until the late 1800s when the parasite that infects the red blood cells of malaria patients was first observed under a microscope. Later work discovered that mosquitoes were responsible for transmitting the parasite from person to person. Since that time malaria control has involved a combination of mosquito control, avoidance of mosquito bites, medication to prevent infection, and medication to treat infected patients. Despite advances in all these fronts, malaria remains a tough adversary. 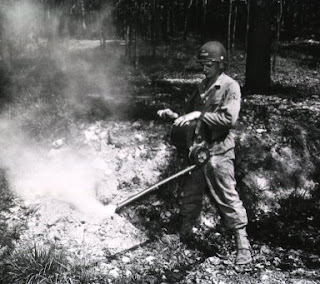 It was the most dangerous health hazard faced by U.S. troops in the South Pacific in World War II. As many as half a million troops were infected. In the second half of the 20th century as developed nations became more affluent, malaria elimination was a marker of their progress in public health. Mosquitoes were sprayed. Standing water was drained. The U.S. eliminated endemic malaria transmission in 1949. Greece did the same in 1974. That doesn’t mean that there were no cases in the U.S. (or Greece) since then, but that all the cases were imported. People who were infected abroad would travel to the U.S. and become ill here, but no one has been infected in the U.S. since 1949. Well, 46 years later malaria is regaining lost ground. This week the Wall Street Journal reported that endemic malaria transmission has returned to Greece. That means that infected mosquitoes are infecting people in Greece for the first time since the 70s. In the past two years there have been over 50 endemic cases of malaria in Greece and over 100 imported cases. So far there have been no deaths. Since its economic collapse three years ago, Greece’s public health system and its mosquito eradication efforts have been hard hit. The nation’s ability to care for patients and to prevent infection has been hobbled by worsening scarcity of resources and financial uncertainty. In response, the U.S. Centers for Disease Control and Prevention (CDC) has released an outbreak notice advising travelers to take precautions to prevent mosquito bites when traveling in Greece. Travelers to the agricultural regions of Evrotas should also take prescription medications to prevent malaria. Perhaps the return of malaria in lands from which it was eliminated is a sign of the local cracking of the thin veneer of civilization. Perhaps it is a very late marker of societal collapse or of fiscal profligacy. If that is the case, it may be wise in the next few years to bring insecticide and mosquito nets to Italy, Spain, Portugal, and eventually, to California.